To be known and respected as a professional Sales Organization. 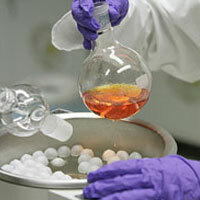 To concentrate in the area of Pharmaceuticals Raw Materials, Food Raw Materials, Packaging Raw Materials, Import & Export. To provide our Principals with Complete Coverage. To be an extension of our Manufacturers Sales & Marketing efforts. 3.Immediate Access to the Market.